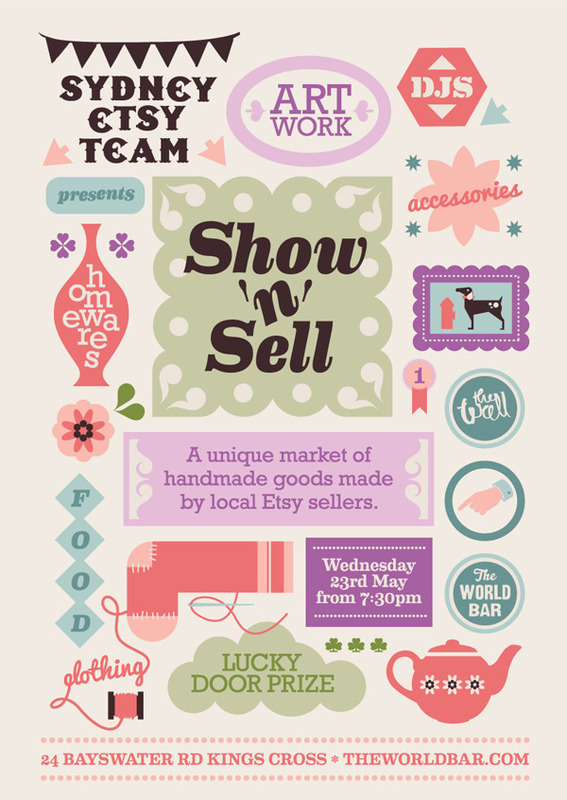 I'm so very excited to attend my very first Etsy event this week, Show & Sell, hosted by the Sydney Etsy Team at The World Bar in Kings Cross on Wednesday night. Promising an array of handmade jewellery, accessories, clothing, artwork and homewares with lots of exciting Etsy store holders already confirmed, it's going to be a night of handmade heaven! So if you're a Sydney sider, make sure you hop on down, it's absolutely free to enter, just remember to bring lots of cash!